Iceberg wedge salad is one food that has stood the test of time. Matcha, beet juice, and probiotic drinks are just a sampling of the trendy health foods muscling in on product real estate on the shelves of your supermarket. While I am all for eating healthfully, it bothers me that the consumer thinks that they have to seek out these high-priced, vogue foods costing up to $3 per serving in order to ensure good health. Not only is it unnecessary, it is not how consumers want to spend their money, according to the Food Marketing Institute. In its latest grocery trends survey, FMI found that while consumers are interested in health, the real motivators when it comes to making a food selection are taste and price. They want tasty, healthy foods at an affordable price. Because of this, I predict that the foods in consumers’ grocery carts will soon be following the current hot vintage fashion market. In other words, what is old is new. Let’s walk down memory lane and see why these vintage foods that your grandparents, parents, or yourself (depending on your age) ate decades ago have stood the test of time for taste, health, and price. I have always felt sorry for this lettuce, often wrongly said to have little nutritional value. Don’t believe it. A 2-cup serving provides about 10 percent of your daily need for folic acid, a B-vitamin, which is needed to make the DNA in your cells, yet it is about 30 percent cheaper than kale. 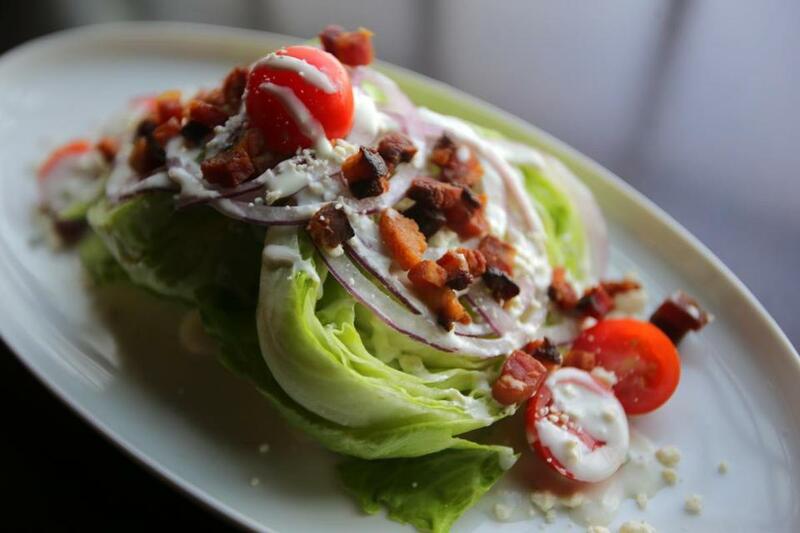 The iceberg wedge salad is back in fashion. Eggs are an inexpensive source of protein. Eggs are also a robust source of choline, a compound needed for healthy cells and nerves, but which many Americans are falling short of in their diet. While the egg yolk contains a fair amount of cholesterol, research suggests that consuming up to one egg daily doesn’t increase the risk of heart disease in healthy people. Best of all, you can eat them at any meal, day or night. If you grew up eating yogurt, you were a probiotic trendsetter and didn’t even know it. Probiotics are active bacterial cultures that, when consumed in adequate amounts, can promote a healthy gut, as well as other health benefits in the body. Because yogurt is made with these active cultures, you can gain probiotic benefits for less $1 per serving, much less than pricey probiotic drinks. Stock up on yogurt. You can’t get a more vintage food than bananas. A little known fact is that bananas are rich in various bioactive substances such as serotonin, which can contribute to feelings of happiness and fight depression, as well as antioxidants and anti-inflammatory compounds. At about 15 cents, a banana is a sweet and inexpensive way to brighten your day. Buy them by the bunch. Who knew that the cottage cheese that grandma eats at lunch is also good for her muscles? Eating adequate amounts of protein at each meal is important to for your body’s ability to make and maintain lean muscle mass during your day. For a mere 70 cents for a half-cup serving, cottage cheese not only scoops out a hefty 12 grams of protein, more than an ounce of meat or chicken, it also contains a secret ingredient: leucine. This important amino acid helps trigger the synthesis of muscle mass in the body. Grandma is both smart and frugal. It’s a myth that potatoes are fattening. (A small baked potato is about 125 calories.) For the money, they’re a steal. A small baked potato costs less than 45 cents, yet will provide more than 750 milligrams of blood pressure-lowering potassium. According to the American Heart Association, almost half of Americans have high blood pressure, increasing their risk of stroke, yet most folks aren’t consuming enough of this mineral. Stuff a potato with cottage cheese (see above) and cooked veggies for a healthy, satisfying lean meal that won’t break the bank. Joan Salge Blake is a clinical associate professor at Boston University. Follow her on Twitter and Instagram at @JoanSalgeBlake.